The purpose of the What to Keep report is to provide new insights that will be useful to institutions, research funders, researchers, publishers, and Jisc on what research data to keep and why, the current position, and suggestions for improvement. The analysis of emerging themes and mappings is available as a set of tables. Seven mini case studies illustrate in more detail the approaches and rationale for what to keep for different repositories, stakeholders and disciplinary areas. The report provides insights on how what to keep decisions can be guided and supported, and the ten study recommendations and the potential implementations for them, provide practical suggestions for future development. Charles Beagrie Ltd have been providing additional expert resource in Open Science and Open Scholarship to Jisc, a partner in the EOSCpilot project funded by the EC’s Horizon 2020 Research & Innovation programme. The EOSC – European Open Science Cloud – aims to create a trusted environment for hosting and processing research data to support EU science. We helped to support the finalisation of draft policy recommendations aimed at encouraging implementation and take-up of the EOSC. This involved supporting consultation on the draft policy recommendations, and helping to prioritise and develop them in more detail, to produce a coherent policy proposition. We look forward to seeing the final public recommendations and future development of EOSC. Charles Beagrie Ltd has started a new research data study for Jisc and UK institutions. Jisc is working to develop shared infrastructure, influence policy and provide guidance to support institutions with the growing need for robust research data management. There is a wide-range of needs and existing provision for creation, collection, storage and preservation, and reuse of data within UK Higher Education. Researchers, data curators and policy makers all need to answer the question, what research data should be kept? We can’t keep it all, because that would be too expensive and time-consuming. However, we have to keep data that is irreplaceable and unique in its value for future research; to enable it to be reused and validated: to enable peer review to be informed; and to enable there to be trust in research findings. Types of data needing to be retained vary and may include related materials such as software and documentation. But how much and what is enough? Obviously, there is no single answer to that: it depends on many factors, but what are those factors, and how should we weight them? These remain difficult and open questions, but this year Jisc is working with us to take a step toward answering them. This work comes at a critical time in the evolution of research data management and sharing. At the policy level, the recommendations from the UK Open Research Data Taskforce are expected shortly. These may take into account both the recommendations to Government of the 2017 report by Dame Wendy Hall and Jérôme Pesenti into the future of the UK artificial intelligence industry and the recent Government announcements around this, where research data can be a key input into AI tools. The availability of research data is also a matter of concern to those interested in research integrity and reproducibility. Relevant infrastructure investments include both the Jisc research data shared service and the increasing activity around the European Open Science Cloud. I spent two days last week at the excellent Digital Past 2018 conference in Aberystwyth. It was my first time at the conference. Organised by the Royal Commission on the Ancient and Historical Monuments of Wales (RCAHMW), it showcased innovative digital technologies and techniques for data capture, interpretation and dissemination of the heritage of Wales, the UK and beyond. An image from one of the digital projects featured “Commemorating the Forgotten U-boat War around the Welsh Coast 1914-18” is used in this blog. Fortunately for a first-time attendee, it was also the 10th anniversary of the conference, so there were several outstanding keynotes that looked back over developments in the last decade, current emerging trends, and more speculatively into the future. I had my first attempt at doing a conference summing up at Digital Past this year. I have always been a great admirer of Cliff Lynch’s conference summings up at the Coalition for Networked Information and elsewhere. It is a very difficult job to do well. I think I still have a lot to learn from Cliff but it was an interesting challenge! I would highly recommend the conference to colleagues. Keep an eye out for the next one. The final conference of the CESSDA SaW project was held in Dublin, Ireland on 19th October 2017 and summarised the project results in strengthening and widening of European infrastructure of social science data archives. Organized by the Irish Social Science Data Archive (ISSDA) and CESSDA ERIC, the event was very successful hosting representatives from 28 countries. CESSDA members, non-members and aspiring members, were rounded to present the outcomes of a two-year project which has helped increasing the consortium and strengthening its members. It has been an extremely productive and collaborative project with many valuable and interesting outputs. Charles Beagrie Ltd has led on the development of the cost-benefit advocacy toolkit (released in April 2017) in CESSDA-SaW and we covered this in a previous blog post – but there are many other project outputs now available that will be of interest to the research data management community. There is a fuller report, presentations and photos from the conference available here. The Digital Preservation Coalition (DPC) and Charles Beagrie Ltd have released Preservation with PDF/A by Betsy Fanning, the latest in their series of Technology Watch Reports to the public. This is now the 14th Technology Watch Report produced over the last 5 years by Charles Beagrie Ltd and the DPC. It provides a comprehensive review of the PDF/A standard and its use. An update to the original Technology Watch Report, Preserving the Data Explosion: Using PDF published in 2008, the report begins with a history of the PDF/A standard and its development, before moving on to an examination of conformance levels, validation methods and considerations to be made when choosing to use PDF/A for long-term preservation. Preservation with PDF/A examines each of the four variants and lays out the conditions under which it might be beneficial to use PDF/A-3 rather than PDF/A-1, and vice versa, before presenting a range of practical considerations to make the most effective use of the file format. Note the new style cover design! Today is the 15th anniversary of the founding of Charles Beagrie Ltd by myself and Daphne. Our thanks to our associates, partners, and clients for making the last 15 years enjoyable and productive ones stretching across many different disciplines and sectors! The Information and Records Management Society (IRMS) has recognised the re-imagined and revised 2nd edition of the Digital Preservation Handbook as its Innovation of the Year. The 2nd edition of Digital Preservation Handbook provides an authoritative and practical guide to the complex topic of digital preservation. The Digital Preservation Coalition has hosted and maintained the Digital Preservation Handbook since 2002. Supported by a group of external funders, the new edition of the handbook was developed by an expert community of international authors, under the editorship of Neil Beagrie of Charles Beagrie Ltd, in a series of innovative ‘booksprints,’ ensuring it spoke to as wide an audience as possible whilst retaining a deep understanding of the topics covered. Not so much a handbook now, a new responsive website provides free-of-charge open access to case studies, videos and peer-reviewed online content which captures the state of the art in managing data for the long-term. 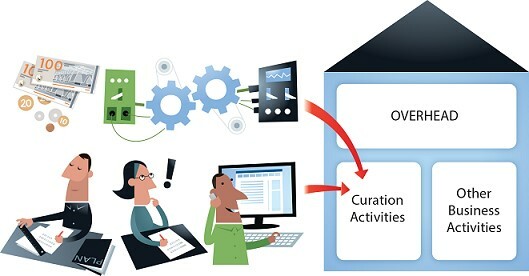 It includes interactive functions, allowing readers to add comments and suggest examples and updates, while a completely new section called ‘Getting Started in Digital Preservation’ supports the DPC’s programme of introductory workshops. The 2nd edition of the Handbook was developed and delivered by a research consortium of the Digital Preservation Coalition (DPC) and Charles Beagrie Ltd. The DPC helps members to deliver resilient long-term access to digital content and services, helping them to derive enduring value from digital collections. The Coalition also raises awareness of the attendant strategic, cultural and technological challenges and supports members through advocacy, workforce development, capacity-building and partnership.